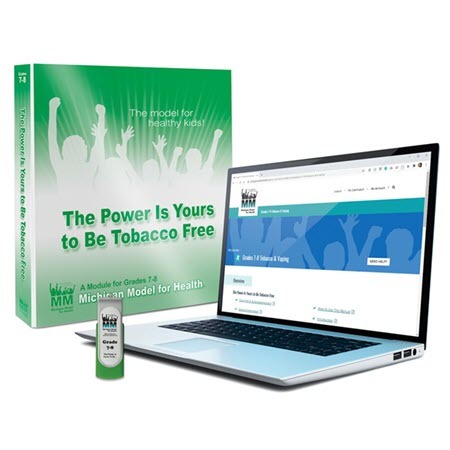 The Power is Yours to Be Tobacco Free - Michigan Model for Health. This module, intended for use in grades 7-8, includes 6 lessons and is devoted entirely to the prevention of tobacco use, one of the three drugs most often abused by young people. Includes Teacher Resource flash drive. Support materials purchased separately.